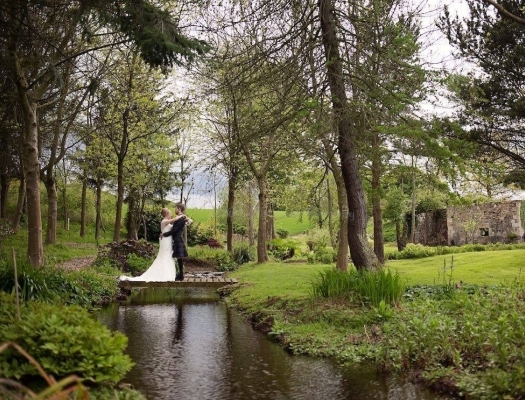 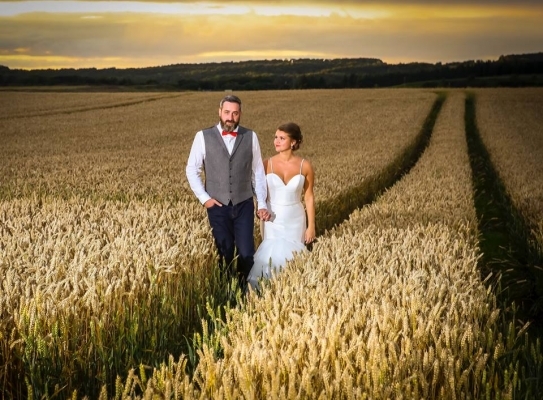 Kilrie Granary is a beautifully renovated 19th Century Events Venue and Self Catering Cottage in Central Fife, Scotland. 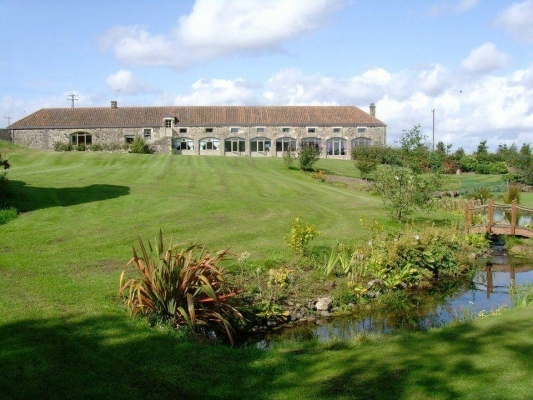 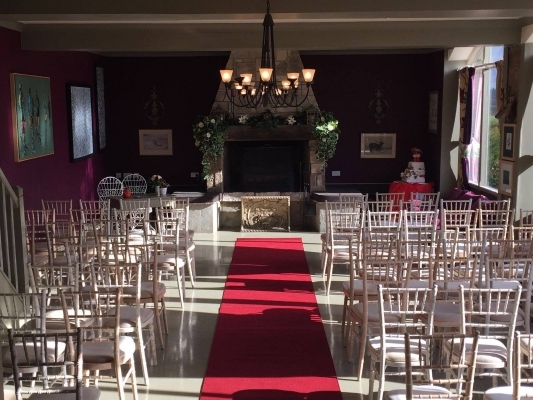 The spacious grounds and 2 dedicated event rooms make the Kilrie Granary an ideal venue for hosting any function. 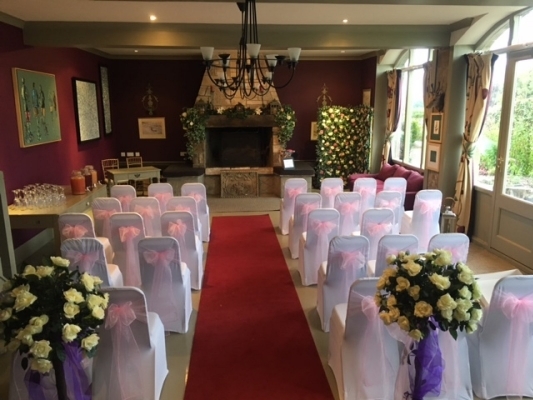 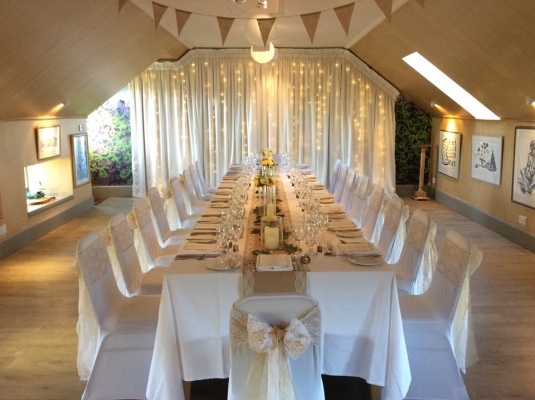 The Granary Hall can accommodate up to 22 guests for a sit down dinner, lunch or meeting, or up to 50 for a wedding reception, dance or drinks party. 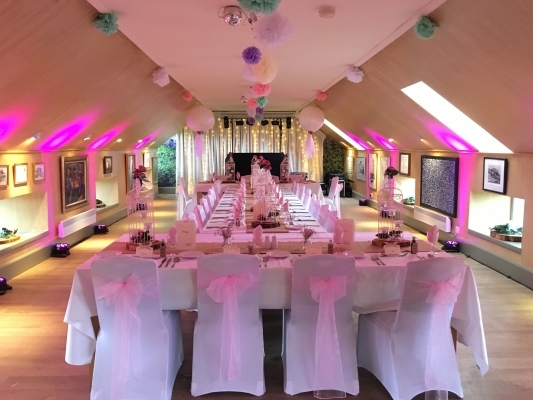 On the upper floor, the Long Gallery is a lovely, light and airy 23 metre long space, perfect for a special function, reception or exhibition, which can seat 80. 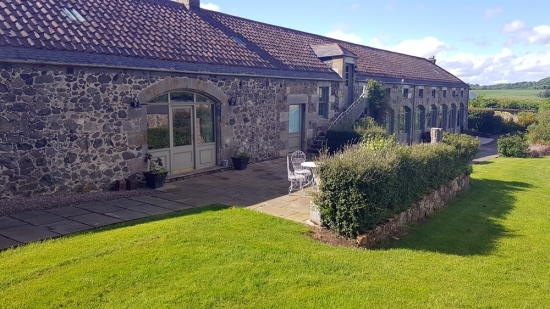 With a conservation heathland forest, large duck pond, doocot and waterfall (once used to power the old watermill) nearby, Kilrie Granary is literally surrounded by nature. 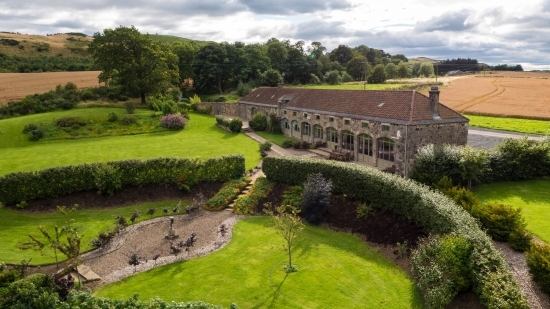 Just a mile from the East Fife Coastal Path and close to many historical attractions including some of the best golf courses in the world, there's something to suit everyone's tastes. 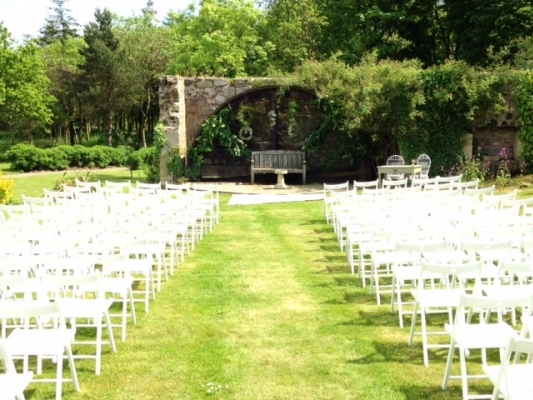 The rolling lawn and pretty gardens provide an excellent space for an outdoor event. 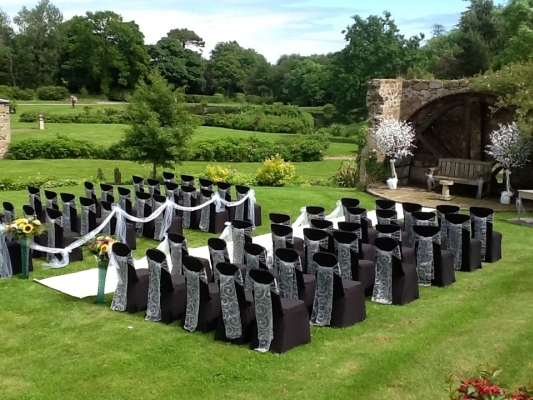 There is an ideal area for a large marquee or teepee to be erected should you wish to host a sizeable event. 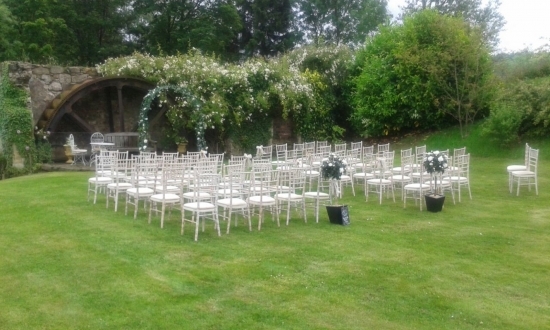 Each space can be booked separately or all together.